A part of Generosity DC, the Just Neighbors 5K Run/Walk will take place on June 23, 2019 in Arlington's Bluemont Park. The event features a professional pre-race warm-up & stretch, a professional announcer, live DJ, one of a kind Just Neighbors event gear, a medal for every finisher, and an amazing time with friends, family, neighbors, co-workers, and community members who want to give back. 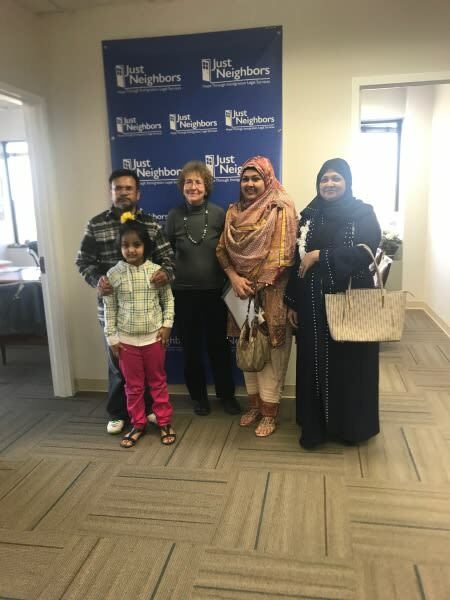 For more than 20 years, Just Neighbors has served more than 12,000 clients from 130 countries by helping low-income immigrants obtain the documentation to which they are legally entitled. We believe that investing in immigration legal services positively impacts a family’s overall stability in the United States. Requiring individuals to pay expensive fees for these services forces families to choose between paying for legal services or for basic needs like food and housing. Research shows that granting legal status and citizenship to immigrants increases their income level, chances of home ownership, education level and access to health care. Those issued Temporary Protected Status (TPS) because of armed conflict or natural disasters in their homelands. Your participation in this 5K will directly serve our immigrant and refugee neighbors in need of these crucial immigration legal services.